2 Mix flour, baking soda, baking powder, salt, garlic powder, and onion powder in large bowl until combined. 4 Mix Cheddar cheese and Parmesan cheese into mixture. 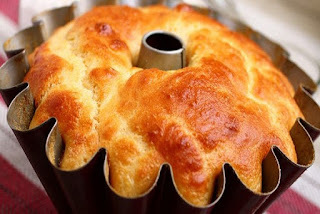 Pour batter into Bundt pan, spreading evenly to edges.